Poetry Friday - the day after Thanksgiving...being hosted at Carol's Corner today. Join in the feast! however on the day before Thanksgiving it started to snow and we lost power at 7 pm that night. Thanksgiving at my house was now in question. I had all the food, but no way to cook it. Perhaps by morning we would have power again. It was not likely though, as being on a peninsula-type island, our power doesn't go anywhere else. Restoring us does not reactivate the next town or anything. Ocean and Europe are next in line. So, no. There was no power in the morning. We packed up everything and headed south an hour plus and set up Thanksgiving a bit delayed there. Turkey got in the oven (well, we actually put him in there, he wasn't so willing) at 11 am instead of 6 am. But we had Thanksgiving. My son couldn't make it as he worked at 3 closer to our town. We brought him a Thanksgiving meal on our way home that night while he was at work. It was still a wonderful day in spite of losing everything in our refrigerator and freezer. We unfortunately had to make a quick dive into the cold to get the turkey, whipped cream, vegetables, and other assorted foods to take with us; and that cooled off the refrigerator too much it appears. Our power came back on at 5 pm on Thanksgiving, but that wasn't early enough to save any food. The worst thing about that is it would be a great time to clean the refrigerator....but I just did that a couple of days ago to get ready for the turkey et al. 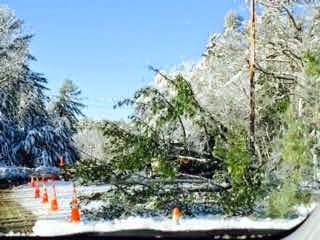 Here's why no power...and the only way off the island. Fortunately there was a bit of space off-road just on the side of the bridge, or everyone would have been home and powerless on Thanksgiving. Here's one of my poems from Winter Ways, available on Blurb, on the sidebar. It seems fitting. It was packy snow, as we liked to call it as kids. Great for snowballs, snowmen, snowforts, and losing power with downed trees and wires. Do you sparkle in the night? Is your touch the coldest yet? Do you rest in boughs of trees? Do you make the winter bright? Can we build a fort of you? Can we make an angel, too? and so here is my "How to Write a Poem"...and my "How to Be Six" poem embedded in it. 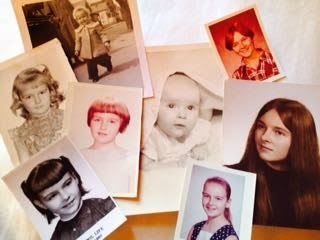 Here we go - Poetry Jam's prompt today is to write about who you are or are not...your identity. my mother says "hit her back"
I assure him, "My dog will be all right"
to feel sad or worried. some nails for my dad. when you are given dreams? Yesterday afternoon I went in to town to work with second graders (I love that...I just walk in, grab a clipboard and go hunting for students available to do some extra reading or writing...) as a volunteer in my old school (from which I am retired). That in itself made it a great day. I have one kid who asks throughout the week if I'm coming to read with him. I like that. Someone looks forward to seeing me. AND then I leave. I don't have to keep Running Records, score anything, write a report, etc...none of that. All the good parts of teaching without the paperworky quirky things. So yesterday was already a great day. But when I got home, there was a small UPS package waiting for me, leaning up against my front door. As an aside, I do have to tell you this. If I hadn't even seen the package, I'd have known someone had been on our front porch by the dog's reaction when I got home. She was standing over as far away from the door as possible, looking at us from between the open stairs to the loft, barking at us. She didn't come to the door. She's a Golden Retriever, and older, and when we come home sometimes she'll bark a little bit, but then comes to the door to greet us with her tail end all wiggly-twiggly. But when someone has been there - like UPS, FedEx or the oil man, she's hiding out as far away as possible, barking from a safe distance. She's a great "delayed alert" dog. 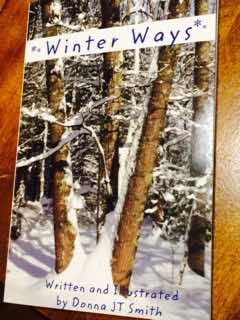 Anyway, there was a small package on the doorstep, and it was my paperback copy of Winter Ways! When I had torn the package open in my own special way (which will be a blog another day), it looked just right, better even than I'd imagined. 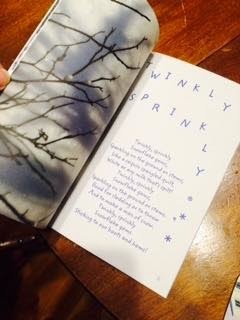 It was shiny covered, just right for holding sized, with real paper pages inside and my poems and my pictures and my name and an ISBN. No, it does not get any better than that. Not yet anyway. I'm still waiting for The Fall of the Leaves of Fall. I think they lost it, being 4 days overdue now. For some reason it did not have a tracking number as this one did and the book my grandson got. So I can't tell you about that one yet. I do know this one is just the way I had hoped it would look - and I'm being assured FLF will be beautiful, too. So this is a reminder for anyone out there with any iBook reader for iPad, iPhone or Mac computer...Winter Ways is available as a free download this week and next. Just click on the book to the right and select ebook for $0.00! An ISBN! It must be a real book! And two more where that came from! I had a great day! 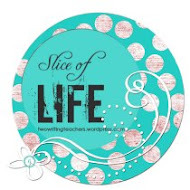 Now let's go make someone else's day great by reading other Slices of Life over at Two Writing Teachers today because it is Tuesday - WooHoo Day! My brain could be back on schedule. I woke up knowing it was Friday and that I hadn't posted anything for Poetry Friday. I've been reading lots of poetry for a while now. You know, poetry is a funny thing. I wrote "funny think" first and corrected it, but I think I am right. It's a "funny think". It isn't really a story, though it can be. It's just a funny think; something that occurs to you - and mostly all in one sitting. Oh, yes, you may edit and revise, but by and large the whole "think" comes in one sitting - in one huge think. I am not a big fan of poems that make you think too hard on the receiving end though. You know, where a tree frog is symbolic for how someone's life is going, but they don't say it, so I'm left wondering if they truly feel that way about frogs, or maybe I should be feeling that way, or maybe it's really a statement about pond life in general... I guess I'm pretty superficial when it comes to art. However I do like some word play and snippets of rhyme and a good rhythm. And I like a good ending. It doesn't have to be a happy ending. 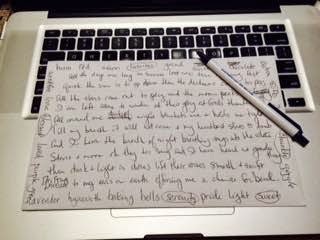 Not all of these things are easy to accomplish in a poem, thus the final revisions and editings. But the "funny think" came first. And by "funny", I don't mean it has to BE funny...it just is an unusual, unique or "just struck you", interesting way of thinking about something. This is one of my "funny thinks". I wasn't sure I would ever write about it, but there he was again in my line of sight when I took the dog out this morning. And the "funny think" happened. This is not like the tree frog idea. It really is just about a bird. I wish I hadn't heard. Will not be flying home again. Where is his mate that mourns? I have a picture...but out of respect for his relatives, I will not be posting it. Go read more "funny thinks" for Poetry Friday with Keri at Keri Recommends today! Goodness...I feel like I've been rude. I just got so caught up in being distracted that I forgot it was Thursday. With Veterans' Day on Tuesday, I got off by a day, I guess. There were things I wanted to remember to do today, and things that I thought were happening today but happened yesterday - so missed them entirely. Anyway, I wanted to say thank you to Michelle Barnes. 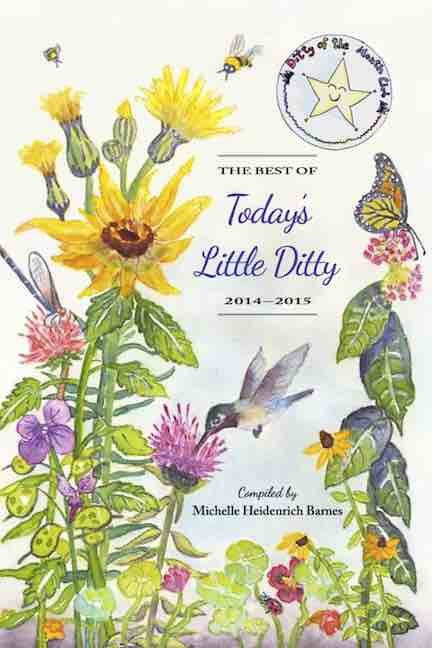 She has my haiku on her site today for the November Ditty of the Month Club offering. It is part of her collection of monster-inspired haiku this month. Mine isn't exactly monstrous, but it does have a black cat. Head on over to Today's Little Ditty and maybe concoct your own monster-y haiku to submit! It's fun. Who isn't up for fun...any day of the week...? Phew! OK, so tomorrow is Friday, right? Poetry Jam has the challenge to write about the word "dream". 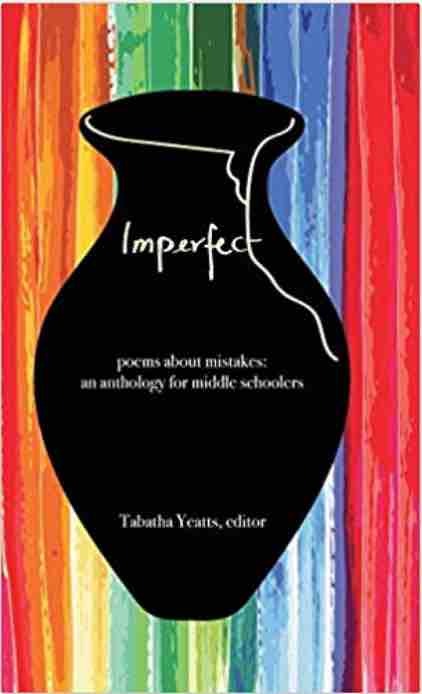 And my dream, my second book of poetry is now available. "Winter Ways" is a collection of Cold and Snowy Poems for young hearts. The iBook version is free from now through the Thanksgiving weekend! We have already had snow here in Maine - my mother-in-law, up in The County (Aroostook County to those out of the loop) - is seeing a foot accumulate today. We were going up to visit for the weekend, but that weather has changed our plans. 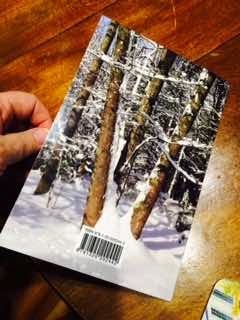 Anyway, after putting "The Fall of the Leaves of Fall" poems together in a photo quality book, I've decided to put "Winter Ways" in a trade book format. This will mean a much better price point than the FLF book. 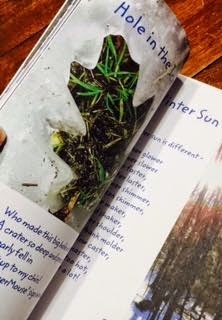 "Winter Ways" will have new poems, geared for the youngish and young at heart. I'm sorry that most people don't go for rhyming books, but that seems to be what my brain does a lot of, so a lot of these are using that format. I have written and rewritten and slept on it, and rewritten, hopefully to get the rhythm and reason for the rhymes to work out together. There is nothing worse than making a rhyme for a rhyme's sake... except maybe reading it later and noting that the rhythm is off! I have copied a page out of "Winter Ways" and am posting it here for Poetry Friday. I know. I'm late. But I've been busy. Hope you like it! 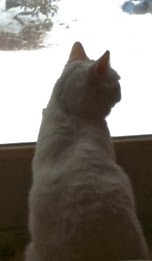 It's time for snow! Today's Poetry Jam challenge is to write about pebbles. I have lots I could write about pebbles. I love them. I don't have tons of them, but I do have a few favorites I have picked up over the years. One of my oldest is my wedding rock. My best friend gave me this rock for our wedding. It is a rather large rock that has followed me around since 1972. It has a line of quartz that runs through it - a ring - so it is considered a wishing rock. Then I have rocks that I collected with my mother when we took her to Newfoundland on her last trip before she died - the one a doctor told her not to go on, and she got a second opinion on that! They are sharp red rocks that shattered off the face of a cliff there. I'm surprised we made it through security with them, they were that sharp! Then I have shiny quartz and mica pieces and smooth white pebbles from Nova Scotia. I try not to collect rocks anymore from beaches. It doesn't seem right to deplete them, and could cause more erosion if everyone did it. So I haven't gotten a beach rock in years. I got a beautiful green rock from my daughter for my birthday one year. Seems like it wasn't long ago, but I'm afraid it was probably 10 years ago... She was out walking with a friend and they came across this rock. She knew I'd love it, and she brought it home and wrapped it up. She was right, I loved it. Her friend thought she was crazy - so I guess the friend must have thought I was, too! My grandson brought me two rocks from the driveway. I thanked him and set them on the table. At church, I reached in for my Bible, and my hand touched something rough. He had slipped the rocks into my church bag sometime before he left. 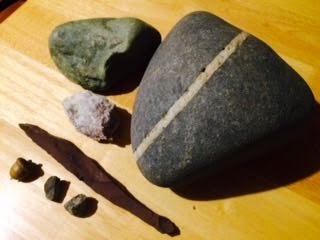 You can see all the rocks mentioned above, except for the white pebbles, in the picture - oh, and the acorn my grandson gave me, too, put there for size reference! So, that's the history - my grandmother collected rocks, I collect rocks, my grandson collects rocks. I have a picture of him on his way to Disney World this week, wearing his new sunglasses and holding up his treasure - a new pebble, stone or rock, whichever you like! She never read a book to me. She never read a book. Had she gone to school? I only heard her talk. Maybe they were her books. A bit of where she'd been. She never read a book, you see.